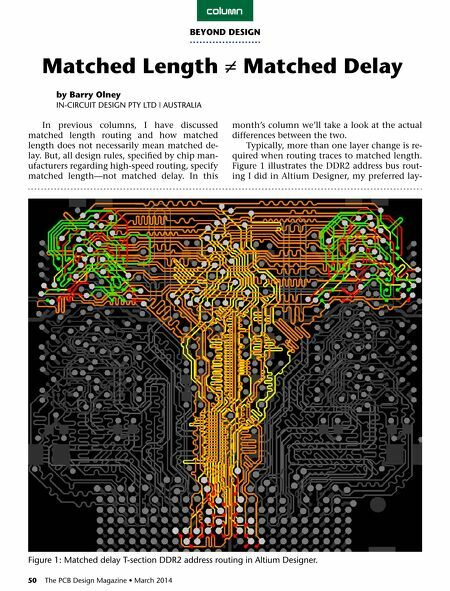 50 The PCB Design Magazine • March 2014 In previous columns, I have discussed matched length routing and how matched length does not necessarily mean matched de- lay. But, all design rules, speciﬁed by chip man- ufacturers regarding high-speed routing, specify matched length—not matched delay. In this month's column we'll take a look at the actual differences between the two. 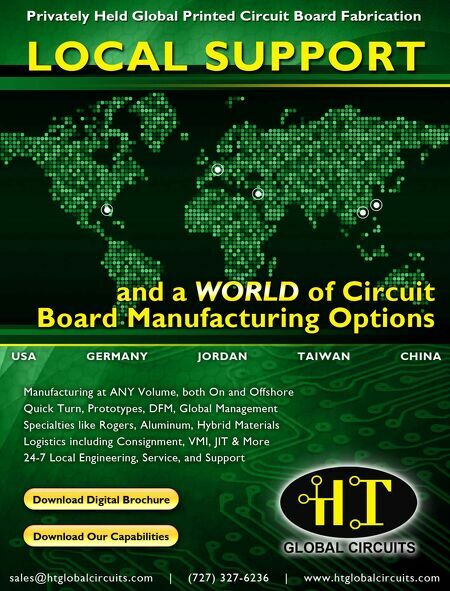 Typically, more than one layer change is re- quired when routing traces to matched length. Figure 1 illustrates the DDR2 address bus rout- ing I did in Altium Designer, my preferred lay- by Barry Olney in-CirCuiT DesiGn PTY lTD | AusTrAliA BEyOND DESIGN column Matched Length Matched Delay Figure 1: Matched delay T-section DDr2 address routing in Altium Designer.